Most of us know that vaporizing is better for our lung than smoking, but it’s usually so inconvenient. As you probably know, I highly recommend the Magic Flight Launch Box as a cheap, stealthy, portable vaporizer that you can use just about anywhere. A black velvet storage bag. 2 rubber bands you can use to hold the magic flight launch box shut if it’s loaded and in your pocket, which I thought was a nice touch. 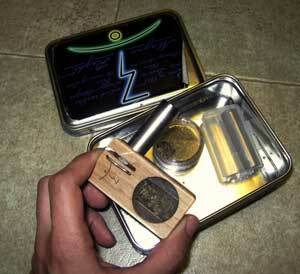 Before I got one, I’d already owned some discrete one-hitters, yet nothing that could be used for vaporizing. 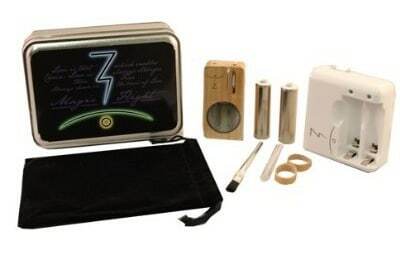 The Magic Flight Launch Box is a discrete, stealthy vaporizer, which is healthier to use than smoking. You don’t get as hard a hit as you would, from say, a bong, but this device actually works pretty great for something so small. I would say that this little piece works better than the VaporTower, which I also own. When I first got my package I was surprised at how small the package was and even more surprised at how small the actual Magic Flight Launch Box was when I took it out of the package. It fits in the palm of my hand. If you do end up buying this item, make sure that you take slow breaths until you get the hang of using it. If you hear air whistling through the box, you’re pulling too hard and not really getting the full effect. If you do it nice and slow you will get extremely warm, potent air when you breath in and that’s when the box seems to work best. You will get a slight taste in your mouth but the scent of the air that you breath out is very faint. If you breathed the air out of a window or if you were using this vaporizer outside, there would be no way that someone will be able to smell anything on you afterwards. My only quibble is the fact that a single battery only lasts for 4-8 hits or about the equivalent of one full bowl. This means that since only two batteries came with the box, I can’t really share it with more than one person without having to wait for the batteries to charge. With the charger that came with the kit, it takes two hours for the batteries to fully charge and I almost always want to be able to go through more than two bowls every two hours. Overall, I’ve very impressed with how well it works and how discrete it actually is. If you’re not sure whether you should get it or not, and you’re looking for something effective, attractive, and discrete, than the Magic Flight Launch Box definitely wins.